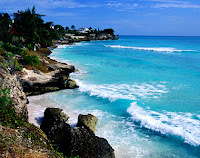 An other unknown group from the Caribbean, the beautiful Island of Barbados, "The Sparks". There's not much known about this group. From what I know they had only two 45's released. This one is a great typical "Caribbean" aka "West Indies" ballad. This song is a good example of the dance tunes that where really hot and still are. When these tunes started at parties there was always a run on the girls, nobody wanted the miss songs like these. Back home, I was 12 years old, this was a huge hit. For years it was played on late radio shows almost daily. I spend hours in bed with my transistor radio listening to great songs like this one. 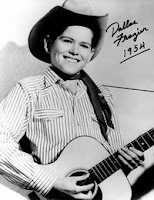 Dallas is not only a great singer but also a tremendous songwriter. 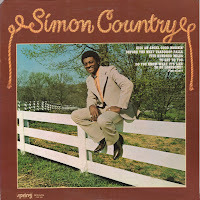 Many country songs where also sung by great soul artist, many of them even had a whole album with original country songs. I don't hear any country in this song, do you. Today a song that's deep as deep can be. 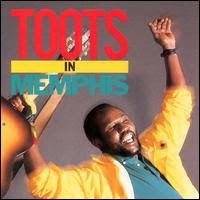 A song from the 1988 album "Toots In Memphis". Toots pulls out the best he has, what a voice. Toots (Frederick Hibbert) one of the 3 Maytals, started singing at an early age. He tried to record as a solo artist, so where his 2 later partners, but they where kicked out of every recording studio when they auditioned. But after these three guys joined up, they where to hot to handle. There first release the religious orientated "Hallelujah' was a smash ska hit. Toots sang many emotional deep ballads with the Maytals in there early days, but on this one his voice, to me is the best. One of those early ballads was "Daddy" which became world known in 1972, but it's original Jamaican release was in 1964. Follow above links to discover who the contributing musicians where on this release (some big names) or listen to sound clips of the rest of the album. Jimmy James (Michael James) a US born lived most of his first 25 years in Jamaica, moving to London in 1965. Come to Me Softly was redone many times. The US version is the best known. But there's also an other US version released on the Sundown label which to me comes second next to the Jamaican original. I don't like the Atco version, maybe you'll understand after you've heard the original.